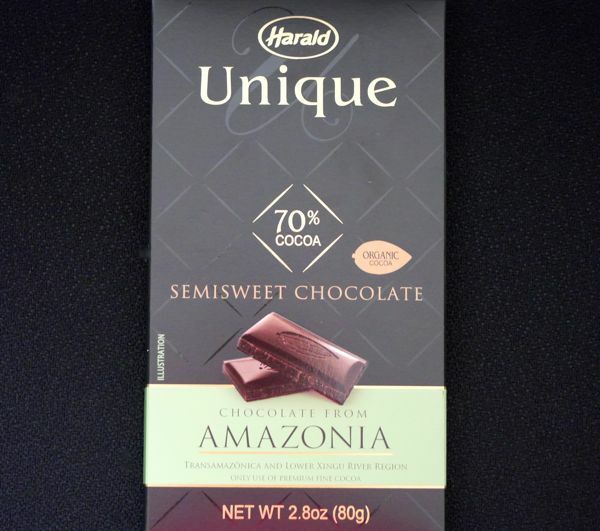 Today was Day #2 of Chocolate and Brazil Theme Week, and I sampled a Harald Unique (Sao Paolo, Brasil) bar from Amazonia with a pleasant chocolate aroma, and smooth texture and flavor, with a slight floral spike, and subtle "candy" finish (sweeter than expected for a 70% dark bar). Brazil is big. So I apologize for the high altitude zoom down into the rainforest origin details below. 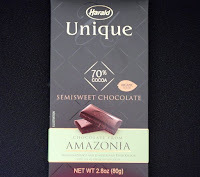 What is Amazonia? In a word, it's very large. Generically, Amazonia can refer to the entire Amazon River Basin area, which covers an area roughly the size of the United States, and includes tributaries located beyond Brazil (in Venezuela, Colombia, Peru, Ecuador, Bolivia and Guayana). More specifically, the term can refer to areas within Brazil—the largest country in South America (and the Southern Hemisphere for that matter). Brazil is made up of 26 states. The second largest state in Brazil is Para—the most populous state in the Northern Region of Brazil. A stretch of eastern Para reaches into the sea (Atlantic Ocean) and encompasses the mouth of the Amazon River. 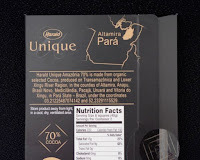 It's also a state where cacao grows. 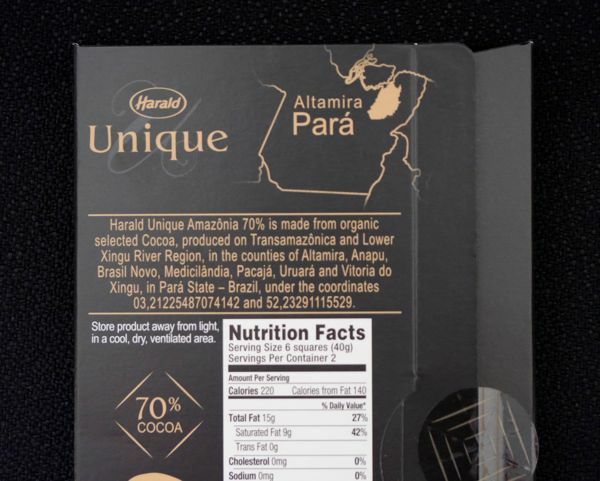 The Harald Unique "Chocolate from Amazonia" bar contained 70% (organic) cocoa, semisweet chocolate with cacao from "Transamazonica and Lower Xingu River Region.